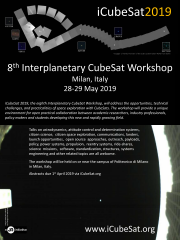 The venue for the Interplanetary CubeSat Workshop changes each year. The 2014 workshop is being held at The Athenaeum at the south east corner of the main California Institute of Technology campus in Pasadena, CA, USA. The Athenaeum guide to parking, directions, etc. can be found here. iCubeSat 2014 attendees arriving by car can park in The Athenaeum car park for the duration of the workshop and social events. A downloadable map of the Caltech campus can be found here. Los Angles International Airport (LAX) is the biggest international airport near the Caltech campus. Shared shuttle buses run from the airport to campus on request. Hire cars from the major hire companies are available at arrivals. Other nearby airports include Bob Hope Airport (BUR) and Long Beach Airport (LGB). For more directions, see the visiting Caltech site.